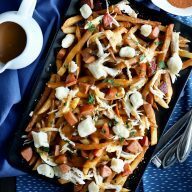 I want to take a long swim in this cheesy goodness. But really, I want to stuff my face with pieces of toasted bread completely slathered in cheesy goodness. Because this dip is just so so so O-M-G amazing. 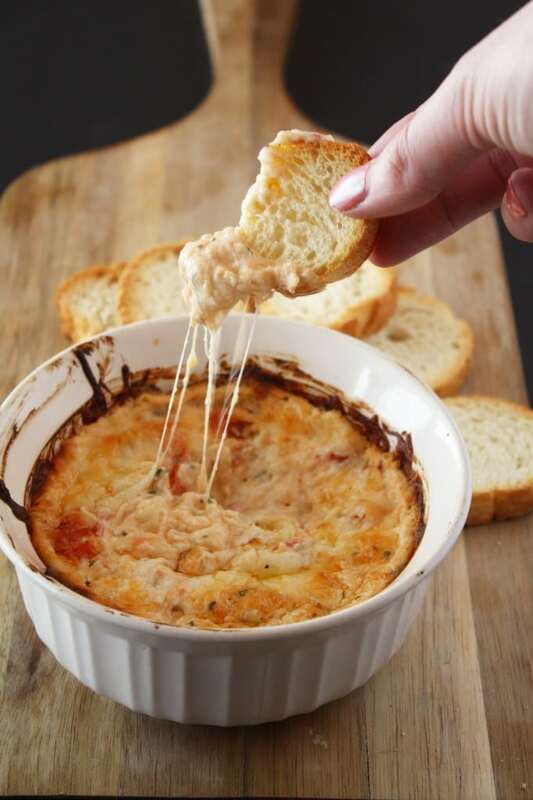 It’s pizza – FOUR CHEESE PIZZA – but in a dip. 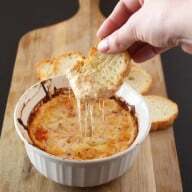 Giving me the perfect excuse to continue my bread obsession and top it will tons of ooey gooey cheese. Cheese is just one of those food items I can’t live without. 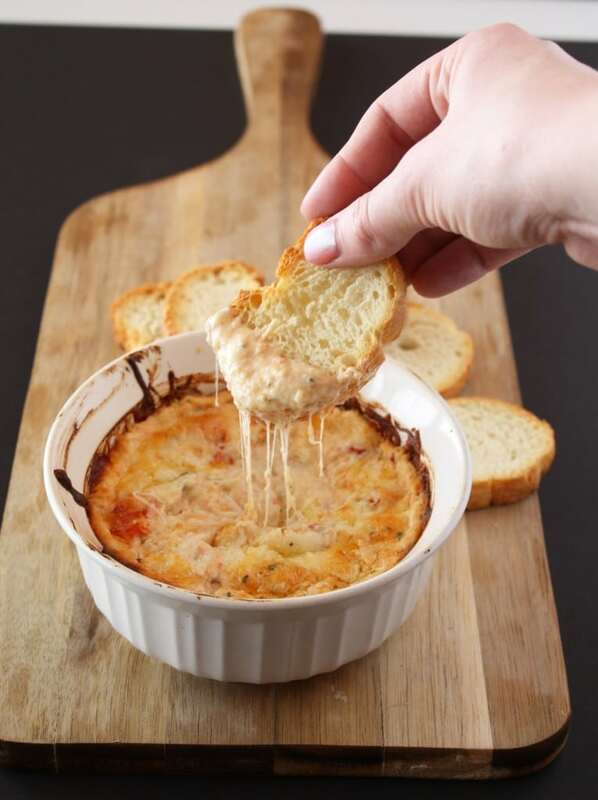 Even if I was lactose-intolerant I would probably suffer through the pain, just to enjoy one bite of cheddar… or brie… or this dip. Though it would never be one bite. It would be oh-so many bites. BTW, do you know what type of cheese you are? Apparently I am brie. Which I can only take as a compliment of my oozy gooey awesomeness. That just sounds wrong, doesn’t it? Please ignore me. It’s been a long week and I am just so happy it’s Friday. Happy Friday my dears! Stuff your face with this dip and celebrate the end of the week with me. 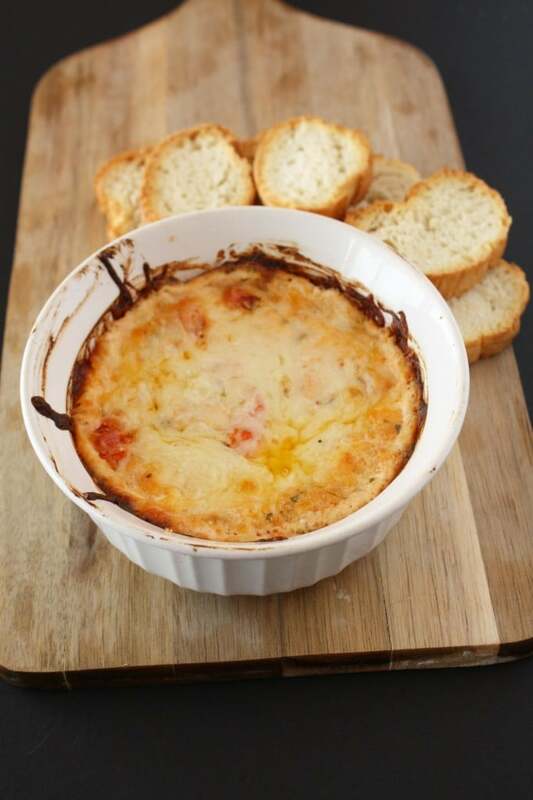 This combination of four cheeses, herbs, and freshly roasted tomatoes is the perfect appetizer for any event! 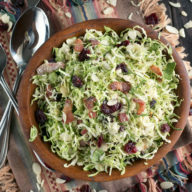 Savory and oh-so delightfully sinful! Preheat oven to 400 degrees. Peel garlic and place garlic cloves on a lined baking sheet. Cut tomatoes in half and add to the baking sheet. 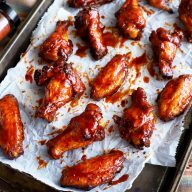 Drizzle olive oil over the garlic and tomatoes and gently shake the pan to make sure everything gets coated evenly in oil. Place baking sheet in oven and roast the garlic and tomato together for 20-25 minutes, until the tomatoes have burst. Remove from oven and set aside. Combine 8 oz of the mozzarella with all of the provolone, parmesan, havarti, and cream cheese in a medium bowl. Once the garlic has cooled, smash each clove with the side of a knife to turn it into a sort of paste. Add the garlic, herbs, and tomatoes to the bowl of cheeses. Stir to combine. Lightly butter an oven safe dish (I used a round Pyrex that holds about 1 ½ quarts). Add the cheese mixture to the oven safe dish and sprinkle with the remaining mozzarella cheese. Bake for 30 minutes until the top is golden and the dip is bubbling. Serve immediately with toasted bread or chips.